Thanks to Mirum for sponsoring this post. As always, all opinions and thoughts presented are entirely my own. 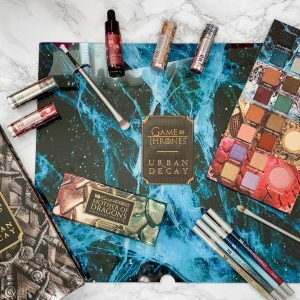 Thanks for supporting the brands that support Jasmine Maria Blog! Lately, I have been loving rockin’ a sleek smooth straight hair. It’s easy to do and I know that it won’t take long to do so. Reason for the sleek straight hair is because I normally have my hair curled and it’s always fun to switch up the style. But with having such curly and frizzy hair to achieve the sleek smooth hair can be hard for me. Especially if I don’t use the right products. 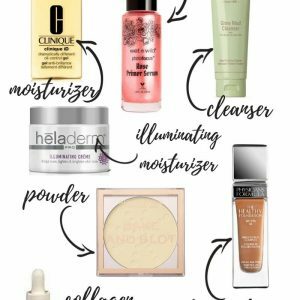 The product you use is so important when wanting a sleek smooth hairstyle. You also want to make sure you get that shine too. One product that I have been loving lately is the Suave Professionals Keratin Infusion Shampoo and Conditioner. 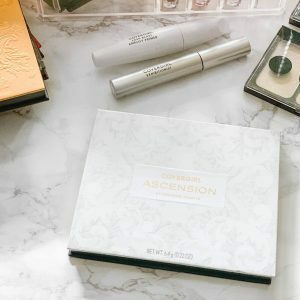 If you haven’t tried this hair product duo, you have to! 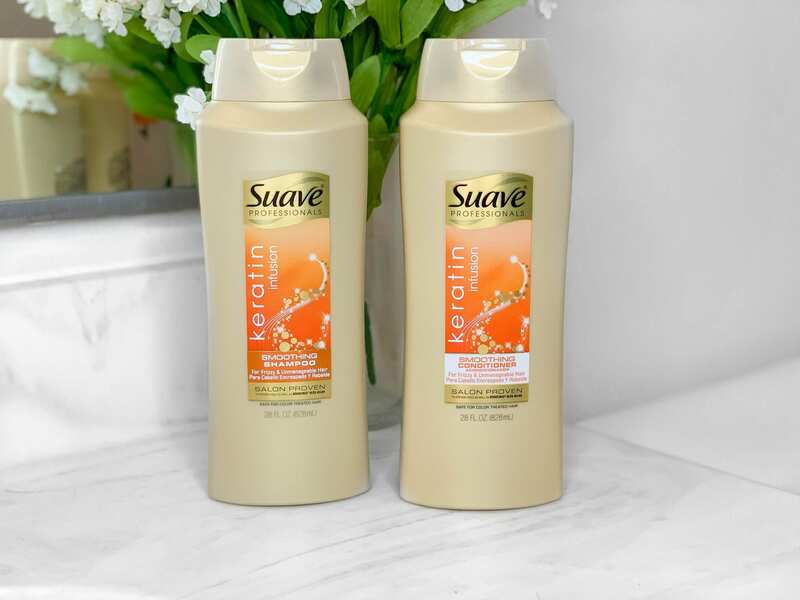 Suave Professionals has been around for a long time and I will be honest about this, I have used their hair products before especially when I am shopping on a budget. 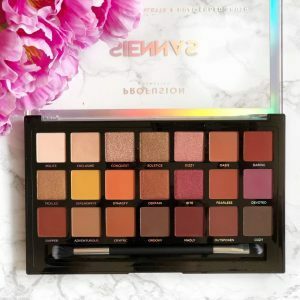 I love how reasonably priced it is and that you can find it at Walmart. 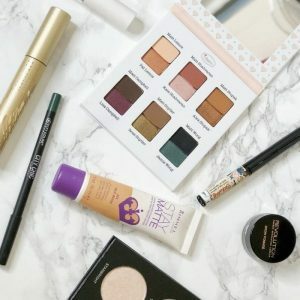 Which is my go-to store when it comes to shopping on a budget. Reasons, why I love the Suave Professionals Keratin Infusion Shampoo, is because it provides 48 hours of frizz control and it’s formulated with Keralock Technology. Which means the shampoo gently cleanses while infusing lost keratin inside the hair fibers. Suave Professionals Keratin Infusion Conditioner also provides your hair with 48 hours of frizz control but also gives you a shiny, soft hair so it’s easy to style. The conditioner infuses keratin and seals the hair cuticle from the outside leaving hair soft, smooth and shiny. Hence as to why it’s perfect when it comes to styling a sleek smooth hair. How to Achieve the Sleek Smooth Straight Hair? Because I have curly hair, I always towel dry and then blow dry my hair. Once my hair is completely dry, I’ll heat up my flat iron, apply my favorite heat protector and do my hair by sections. With having curly hair, I have to make sure I start from the root so there are no curly sections. 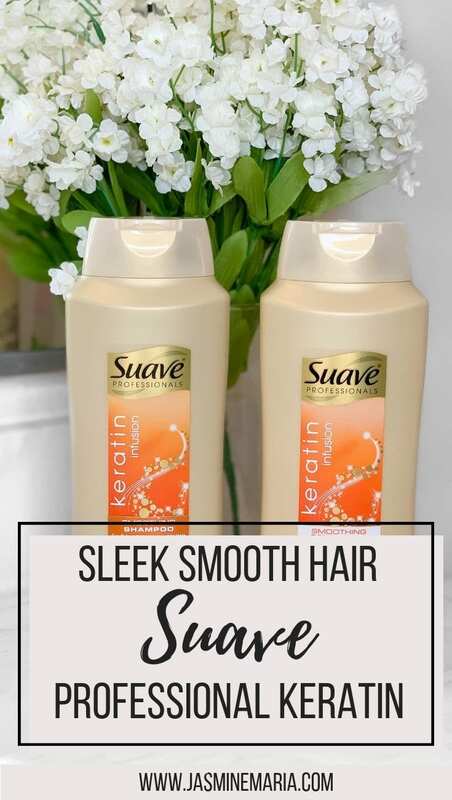 Thankfully I don’t have to add any serums or oils after straightening because the Suave Professionals Keratin Infusion Shampoo and Conditioner helps with frizz and provides shine to my hair. Have you tried the Suave Professionals Keratin Infusion? 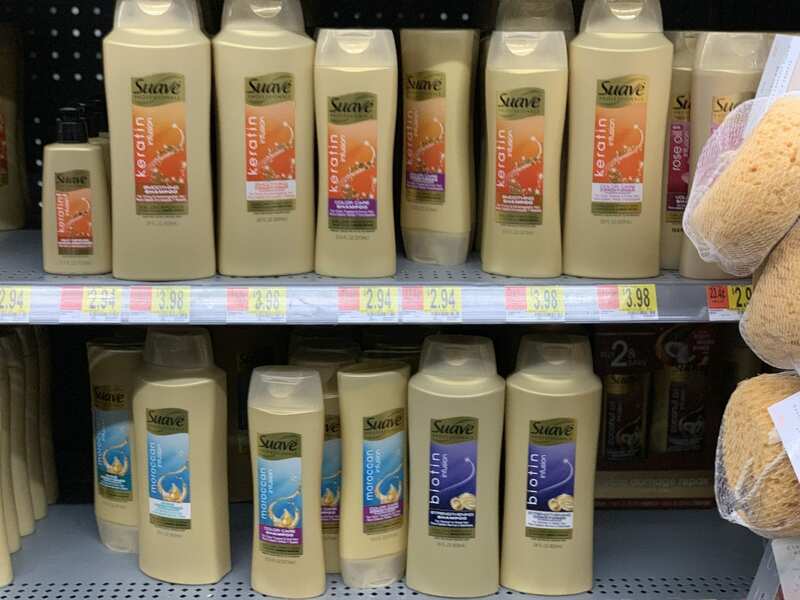 Right now, Suave shampoos and conditioners (28 oz. sizes ONLY) will be $1.00 off (regular price $4.98; Rollback price $3.98). I love this Suave line!! I use their conditioner and love it- it’s so affordable! This sounds amazing!! I love anything keratin!!! I’ll have to check these out! I love the idea of keratin-infused shampoos and conditioners. 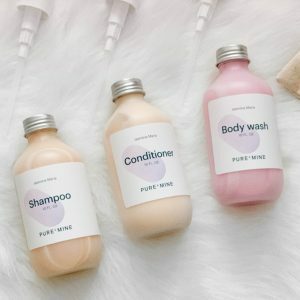 I’m about to switch up my haircare products, so I may have to check out this line! This actually sounds really good! 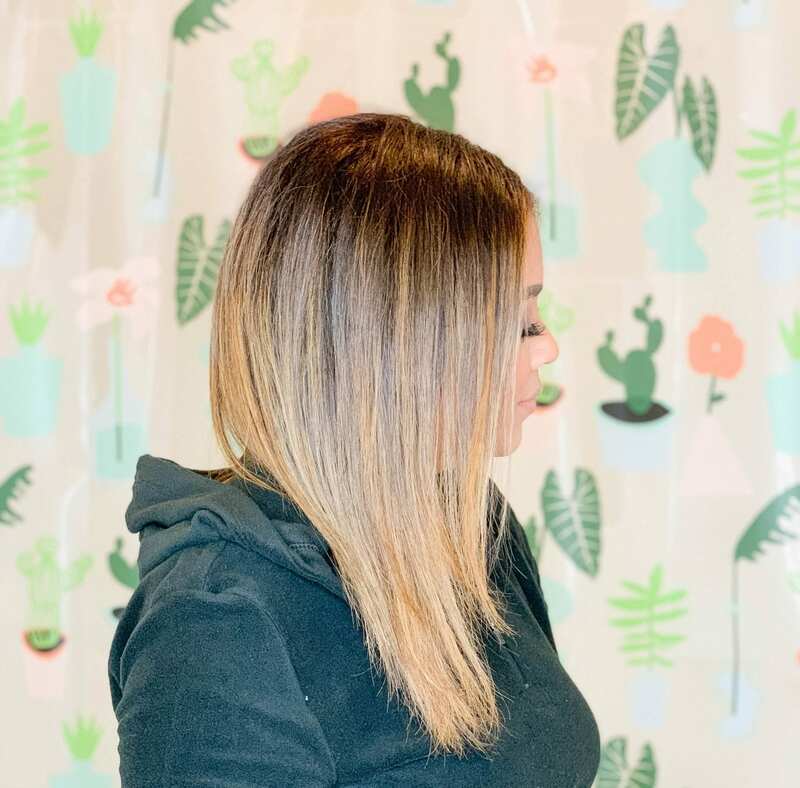 I actually had a full keratin treatment done and it was great for about two weeks and then went back to being wavy – and was so expensive. This sounds like something that might help without costing an arm and a leg! Your hair looks so sleek, it’s hard to believe it’s naturally curly! I love Suave products. They work well and the price can’t be beat. your hair looks amazing!! I had no idea suave products worked so well! I love Suave products! Your hair looks amazing!! Anything that makes my hair look smooth is a win in my book!